Catalonia (Spain) Nov 06, 2018 (SPS) - The General Director of Cooperation and Development of the Government of Catalonia, Manuel Beila, received a Saharawi delegation, composed of the international secretary of Sahrawi Women Union, Jadiyetu Al mojtar, together with human rights activist Hassna Alia, in the presence of the deputy representative of the Frente POLISARIO in the province of Catalonia Mr. Amah Yahdih. 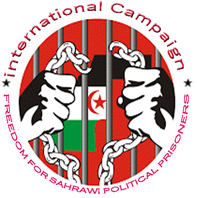 it has also highlighted with deep concern the deteriorating health situation of Saharawi political detainees in the Moroccan authorities jails on the ground of their legitimate demands, first and foremost to deport them to their homeland in accordance with the Fourth Geneva Convention. The meeting also tackled the difficult living conditions in Saharawi refugee camps due to the harsh climate and the lack of assistance provided by the global financial crisis, which is the responsibility of the international community and the UN as the primary responsible for enabling the Saharawi people to choose freely, democratically and impartially their own future. For his part, Manuel Beila expressed his full support for the Saharawi people's struggle for freedom and independence adding that the issue and the struggle of Western Sahara is part of the cooperation program of the Government of Catalonia for the coming year.